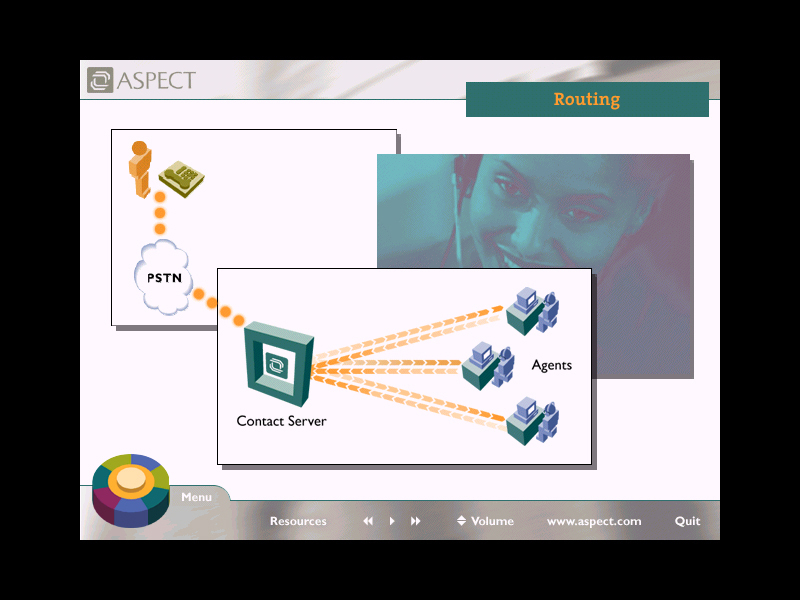 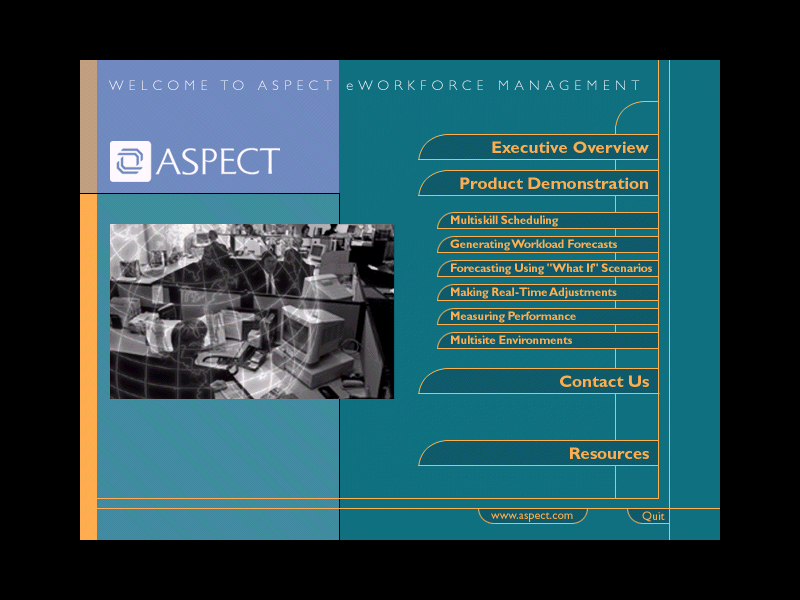 Case Study: When Aspect introduced a new family of CRM (Customer Relationship Management) products, they asked ING to develop marketing media for use in sales presentations as well as direct mail. 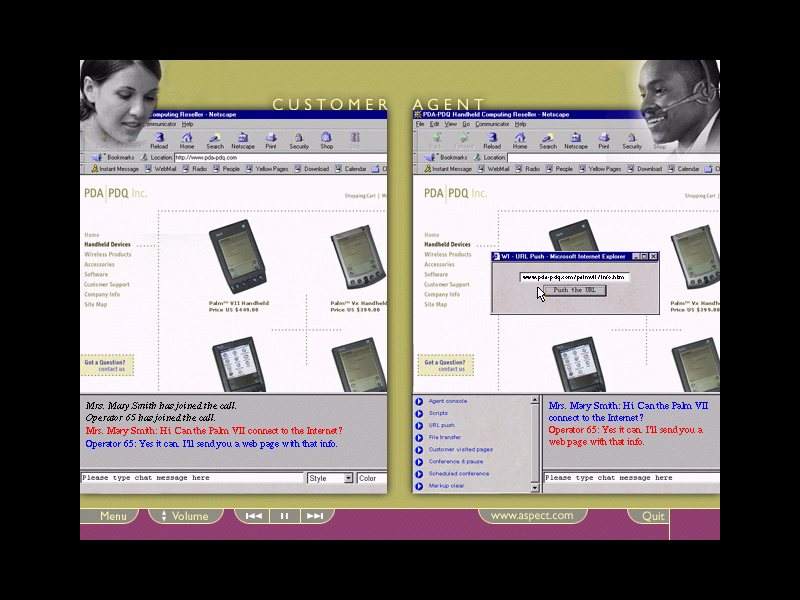 Their primary need was to demonstrate new functions, added benefits, and ease of use to potential customers and existing customers, currently 76% of the Fortune 50 and 7600 customer sites worldwide. 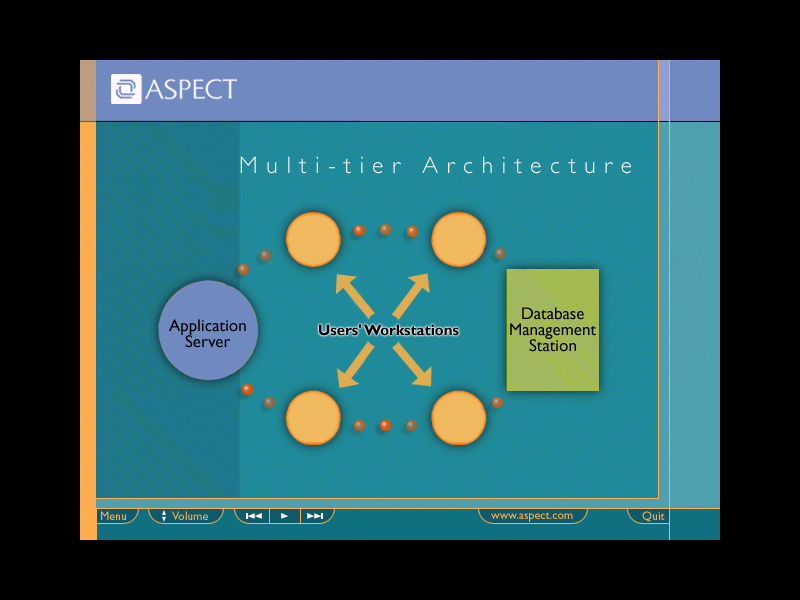 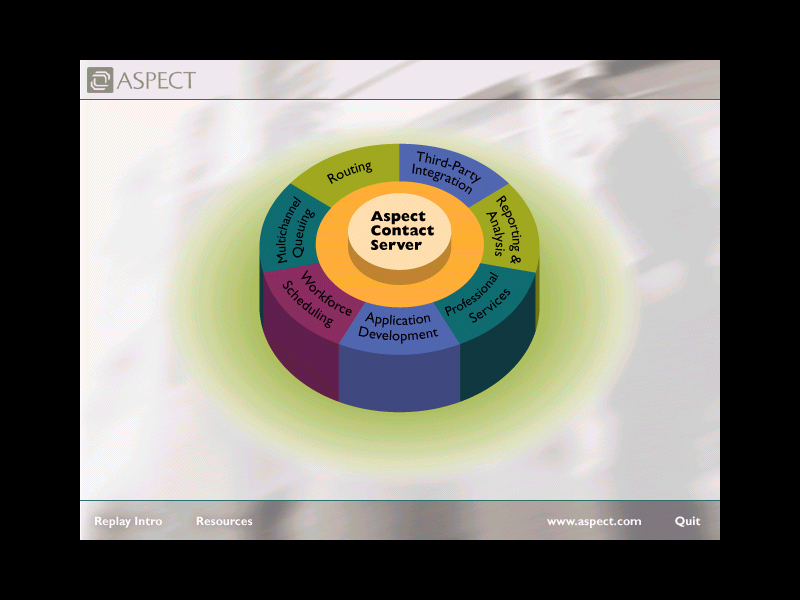 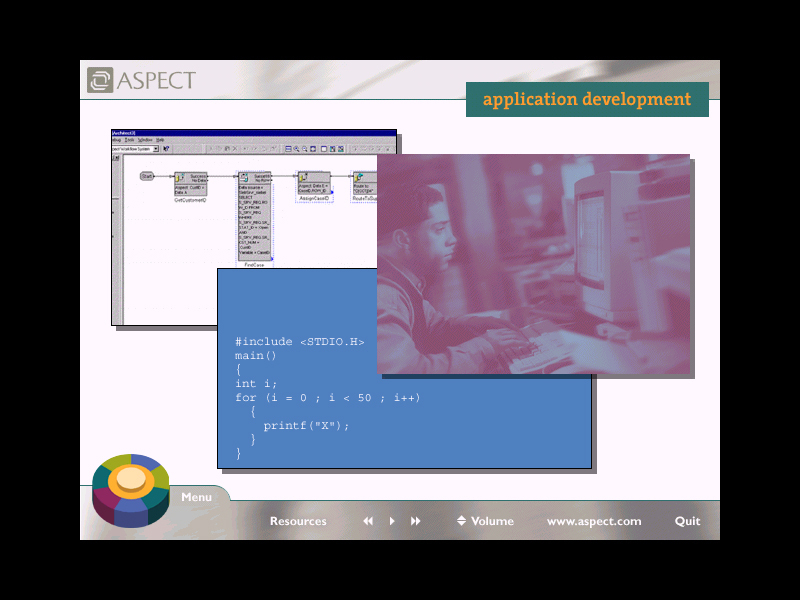 Aspect decided on creating the CD-ROMs because they provided a high level of interactivity, relatively low cost, and easy delivery. 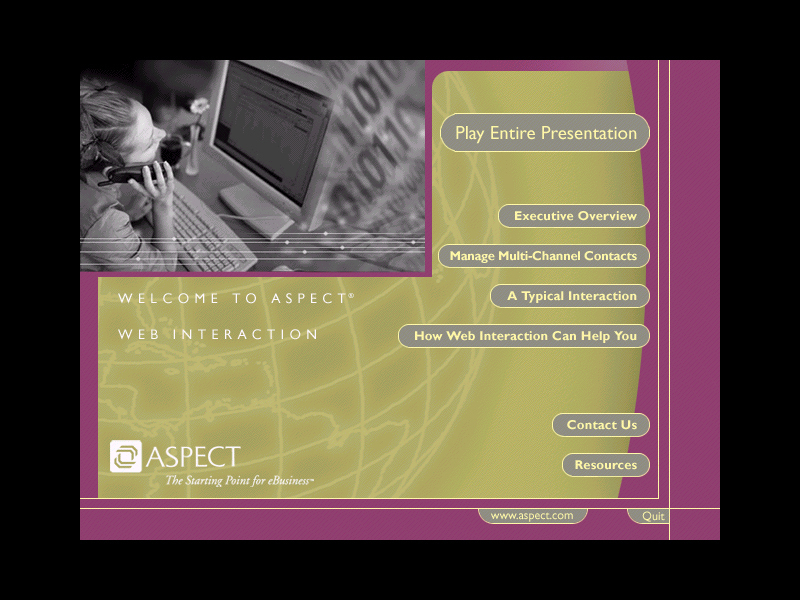 ING also created a streaming media program to launch the marketing campaign on the Aspect Web site. 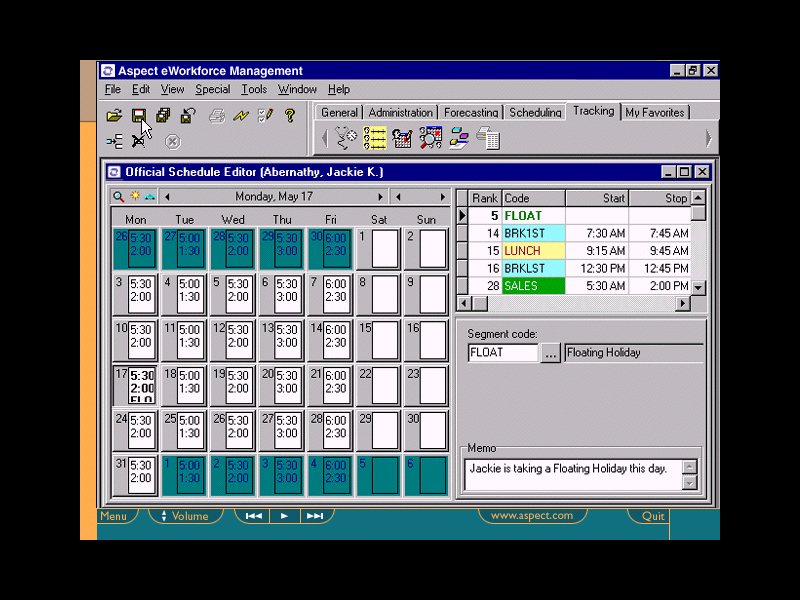 A full version of each CD-ROM is available upon request.